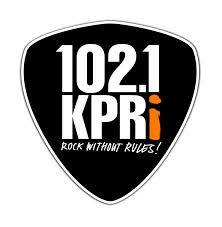 SanDiegoRadio.org has just learned in the last few minutes that 102.1 KPRI has been sold. A source very much 'in the know' has informed us KPRI has been sold to EMF Broadcasting. Not much more than that is known at this time, but I will publish more as it becomes available. EMF Broadcasting is "Educational Media Foundation, a not for profit organization based out of Rocklin, CA. Word has it that the building has been cleared out and a flip is on the way. Well this makes 3 stations EMF owns/operates in San Diego. If they only have 2 formats in K-Love (KLVJ 100.1) and Air1 (KYDO 96.1), does that mean one of the formats will move to 102.1 and sell off the other that's being vacated? I've noticed they've gotten more of a classic rock/classic hits feel. I'm a novice, though, so it probably has nothing to do with that. Sad. A big loss. While KPRI played it too safe IMO, it still was an over the air AAA station with a relatively decent signal. Just as LA lost 101.9, now San Diego is losing its AAA station at 102.1. Sad. KPRI did lots of good things for local radio, including preserving Fusion Jazz on FM on Sunday nights after KIFM flipped to Easy 98.1. AND...THEY ARE NOW OFF-THE-AIR. Adios! Back on now. Just heard a KPRI liner. Very tragic, losing KPRI in San Diego. I'll be listening to KFOG over the Internet and station surfing when driving in my car. The other two stations are Air-1, KPRI will be the only K-Love. KPRI calls will probably change. Such a sad day for radio. I moved to San Diego two yrs ago and loved this station. They were so plugged into the community. Any chance another station will carry the torch? Now that KPRI simulcasts K-Love, doesn't that mean KLVJ 100.1 will change formats at some point? There's no need to have K-Love on 100.1 if both stations broadcasts over the San Diego market. It'd be nice to know what EMF plans to do with KLVJ moving forward. Question...is Christian a/c an actual money maker? San Diego radio, among all the popular genres (AC, Hot AC, Top 40, Classic Hits/Rock) has become really boring and predictable over the last few years. RIP KPRI. Christian AC is a huge moneymaker. Look at all of the stations EMF has gobbled up nationally. They pay cash because they are a non-profit. They have to show no profit at the end of the year. KLOVE is 100% funded by its listeners. You will not hear commercials. I am glad San Diego finally has a stronger signal for KLOVE! Funny a non profit has 12 million for KPRI. Dang, if KPRI had better ratings and made more money, it would still be around because it sounds like overhead was really low. The radio business is tough. I know KLVJ 100.1 is considered a San Diego signal, but their 60dBu field line barely makes it past Ramona, which makes it almost totally unreceivable for nearly all San Diegans. It’s about 100 Watts at about 200 ft in Julian. On the other hand, KPRI had nearly full market coverage. So, moving K-Love from 100.1 to KPRI’s 102.1 is a highly significant improvement in coverage. Also, $12-million is about a third of what they could have gotten for the property about 15 years ago when the market was really overheated. I heard of one station that went for 28-times earnings back then. I really, really need to find a radio station that has the DJ's and music KPRI had for my husband to listen to while at work. He said that every channel up and down the dial does't have as much variety and talent as KPRI had. Anyone have suggestions? We tried 94.9, horrible with about 50% half way decent music, but has the worst DJ's around.